the M20 also came equipped with a M9A1 bazooka as well as M1 Carbines. You are able to display your model the way it is how it comes from its cube shaped box. 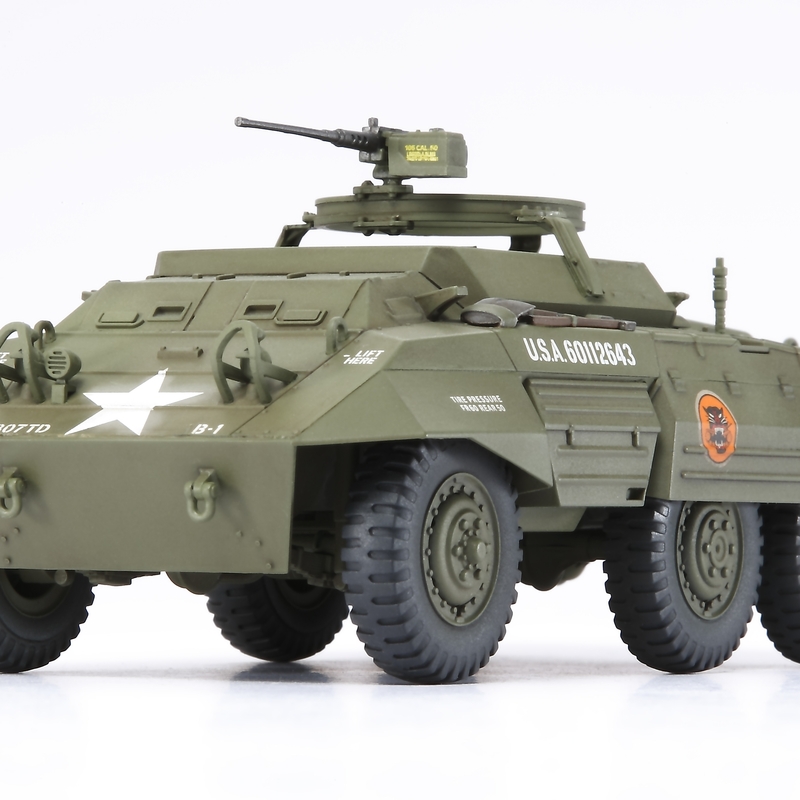 Decals and high quality pad printed markings have a lifelike weathered appearance. 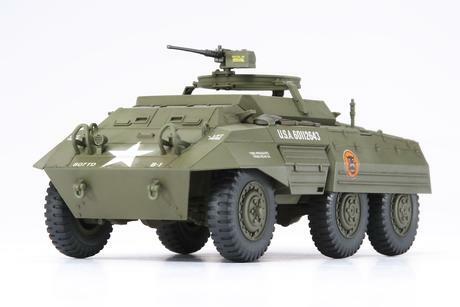 Special spin-cast parts add to the feeling of weight to the M20 Armored Utility Car.